Discover great auditions and casting calls in cities across the country today. “South Pacific” and “Sherwood: The Adventures of Robin Hood,” are both casting in Oregon City, Oregon. A local skincare brand in Boston, Massachusetts needs female talent for a product modeling photo shoot. The “Tournament of Kings” at the Excalibur Hotel & Casino in Las Vegas, Nevada is seeking male talent for its medieval jousting show. Plus, Theatre Aspen in Colorado is casting Equity actors for its 2019 season. Theatre Aspen is casting talent for its 2019 season. 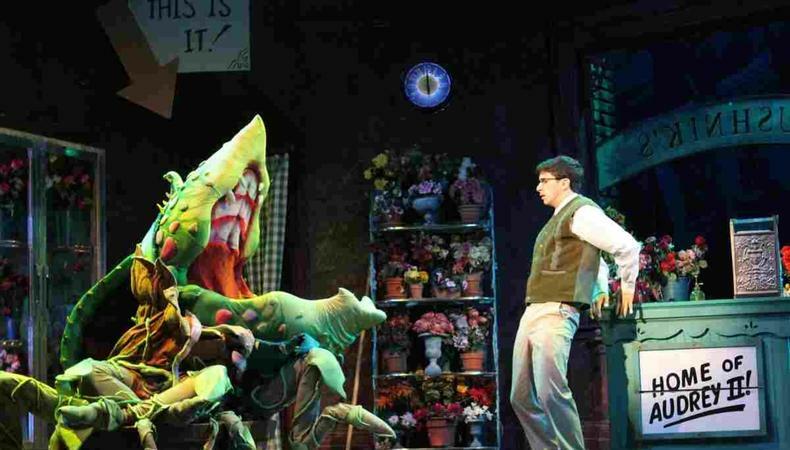 Shows include “Guys and Dolls,” “God of Carnage,” and “Little Shop of Horrors.” The “God of Carnage” cast will not perform in rep with the other shows. Casts for the other two shows will likely perform both in repertory, defaulting to SPT9 salary rates, with a weekly repertory overlap payment. The theater is casting all roles for male and female talent, aged 18 and older, with a strong emphasis on diversity. The season rehearses and runs in Aspen, Colorado. Talent will be paid a minimum weekly rate of $679, with a $150 bump for repertory actors, and provided housing and travel. Talent will be signed to an Equity SPT Contact. An Equity Principal Audition is scheduled for Jan. 29 in Arvada, Colorado. Apply here! A theatrical production of “Sherwood: The Adventures of Robin Hood” is casting male and female talent, aged 18 and older, for leading and supporting roles. Available parts include Robin Hood, Maid Marian, Friar Tuck, Little John, Prince John, the Sheriff of Nottingham, and more. Rehearsals begin on May 27, with a run from June 27–July 21 in Oregon City, Oregon. Talent will be paid $255 per week under an Equity SPT Agreement Transitional Use of SPT Agreement. An Equity Principal Audition is scheduled for Feb. 2 in Oregon City. Apply here! A theatrical production of the musical “South Pacific” is casting two roles for female talent. The roles of Nellie, for a soprano, aged 25–35, and Bloody Mary, for an alto, aged 30–40, are both available. Several roles are also available for male talent. Emile, for a baritone, aged 40–50, Luther, for a tenor, aged 25–40, Stewpot, for a baritone, aged 20–25, Abner, for a tenor, aged 20–25, and the Professor, for a bass, aged 20–25 all need to be filled. Rehearsals begin on June 24 and the show runs from Aug. 1–25 in Oregon City, Oregon. Talent will be paid $255 per week under an Equity Transitional use of SPT Agreement. An Equity Principal Audition is scheduled for Feb. 2 in Oregon City. Apply here! A medieval-themed jousting show at the Excalibur Hotel & Casino has immediate openings. The production is casting male talent, aged 18–60, to play Kings and Riders, and male talent, aged 20–50, to play Fighters and Muscle. Both roles require charisma and good physicality. Kings must have horseback riding skills and will joust, fall from horseback, and perform choreographed sword routines. Fighters must have bodybuilder physiques and will perform choreographed sword routines while shirtless. The show is currently playing at the Hotel & Casino in Las Vegas, Nevada. Full-time positions for both roles are currently open. Talent will be paid professionally. Apply here! A photo shoot for a local skincare brand is casting female talent to model various products. Images will be used for social media, for the company’s website, and for the company booth at trade shows as well as the print brochure. The shoot needs models, aged 18–30, with short to medium length nails without nail polish. The company will provide hair and makeup services as well as a tank top and t-shirt. Talent should wear jeans, leggings, or shorts. Shooting takes place on Feb. 21 in Norwood, Massachusetts. Talent will be paid $750 for the day, plus meals. Casting requires agreement to full usage rights for photos. Apply here!